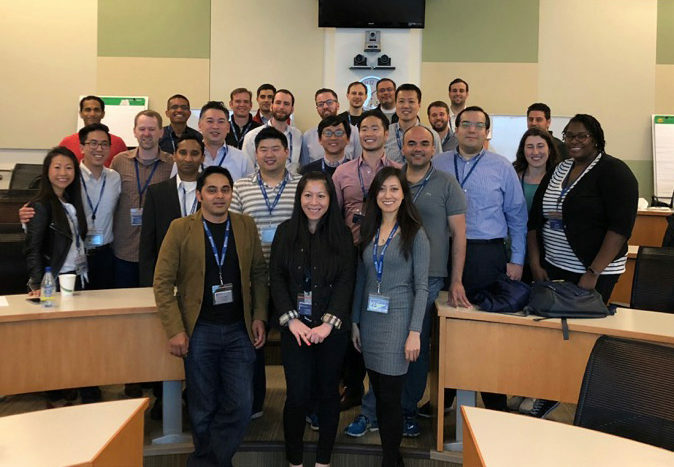 When San Francisco student Chad Liu helped welcome the East Coast EMBA class to the West Coast campus for Marketing Week, he strengthened his connections to the second network of classmates he interacts with as part of Wharton’s bicoastal program. 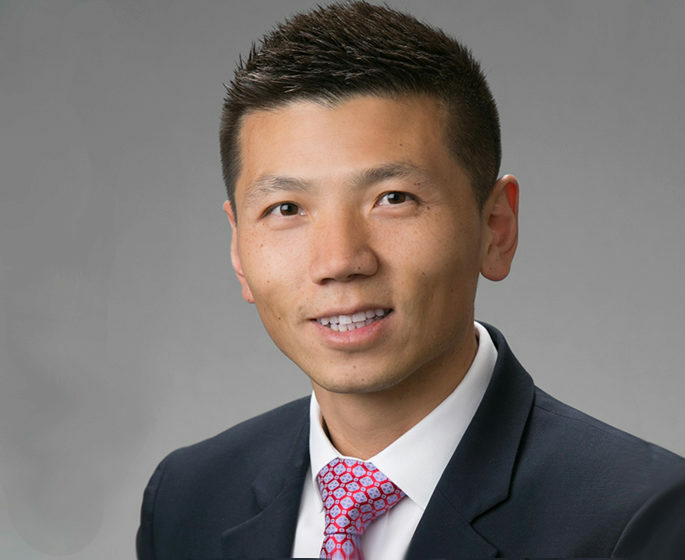 Commuting to Wharton’s MBA Program for Executives from Houston, TX, Chad Liu, WG’19, had his choice of two campuses: San Francisco or Philadelphia. Chad, who works in corporate development at energy consultant QRI, chose San Francisco to gain exposure to the region’s ecosystem of innovation and technology. The bicoastal aspect of the program made it all the more attractive. “I also came here to build connections, and having two campuses meant I could double my network,” he said. Orientation is held on the Philadelphia campus, where students from both coasts spend their first week of school learning the ropes together. Each year, students organize fun activities and trips for both classes. For example, students organized a beach weekend in Hilton Head, SC, and a few months later, students organized a ski weekend in Utah for both classes. Marketing Week in San Francisco was also full of social activities. 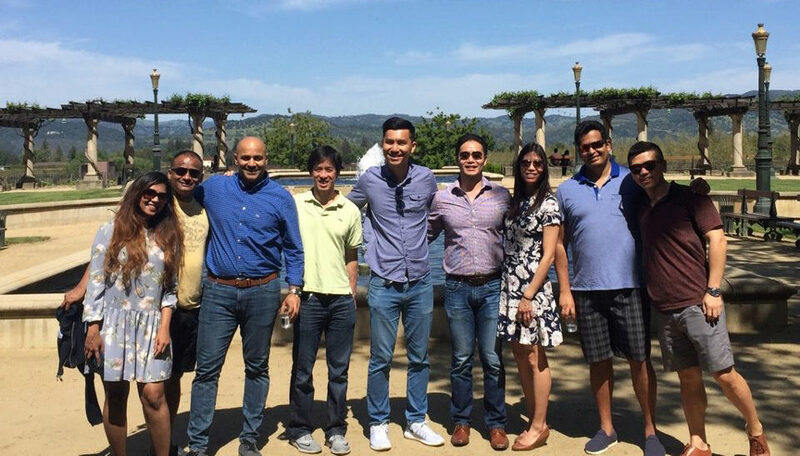 As social chair, Chad organized a weekend trip to Napa, where students visited wineries and enjoyed group dinners. “It was a great way to get to know each other before starting the Marketing class,” he said. Back in San Francisco, students could participate in more activities throughout the week, including a baseball game, group dinners, karaoke, casino night, and a cocktail party in Silicon Valley. “This combined class week was a lot of fun. We knew we had limited time together so we made the most of it during the week,” said Chad. EMBA students from both coasts can participate in outdoor, experiential-based Leadership Ventures that provide genuine environments of uncertainty and challenge. Students also can take GMCs, which are week-long mini-courses on business challenges and opportunities around the world. The GMCs are open to EMBA students from both years of the program and both coasts as well as full-time MBA students. In addition, all second-year EMBA students participate in Global Business Week, which is based on the GMC model. Students choose from four locations, spending the week with students from both coasts. “Wharton students are amazing people and a lot of fun. I’m enjoying meeting students from both coasts, and I’m looking forward to taking a class on the East Coast in my second year as well as Global Business Week. Having two campuses adds a lot of value to this program” said Chad. In addition to bonding with classmates, Chad had several “aha” learning moments during the combined Marketing Strategy class.